2017 is well underway and it might be the right time to review your SEM Strategy; to revisit your PPC campaigns, making sure every single aspect of them is properly optimised. Join us today as we investigate the 7 common PPC settings errors below, making sure your account is ready to shine! Search Engine Marketing platforms allow advertisers to not only decide which keyword they would like to auction on, but also how they want to fine tune said keywords with their bidding; in short if they agree to be bidding on synonyms, variations or loosely related terms. This translates into different keyword match types: Broad, Broad Modifier, Phrase and Exact. The further you follow that list, the more precise it becomes, meaning less volume but more targeted search queries. Now, imagine you are selling wedding cakes and your “wedding cake” ad appears on Google for a “wedding dress online” search. How likely are searchers to click on your ad? How likely are those clicks to result in orders? Extremely low, minimal, no chance. Broad match brings you volume, that’s for sure. But it’s not going to be profitable. One main thing to keep in mind – with Paid Search, quantity doesn’t matter. You do not want to pay for more traffic. You want to marginally pay more for highly targeted traffic. Do not bid on broad match, it’s a complete waste of your budget. You are getting high number of impressions, low number of clicks. Your Click-Through-Rate goes down. You are barely getting any conversion. Marketing has a purpose – to fulfil a customer need. Paid Search gives you the opportunity to display your products and services to interested prospects. Some campaigns, some ads, some keywords will perform better than others. If you are not measuring the right conversions, not allocating them face value or even not measuring conversions at all; then you simply do not know what’s working in your account – and therefore where to emphasise your efforts. Some conversions are easy to implement and follow: a thank you page, an ecommerce confirmation page, a phone number tracking element… It will make a difference between a good campaign and a profitable one. Make sure you also measure micro-conversions, such as newsletter signups or PDF downloads. Those smaller wins can lead to bigger ones and will help you when optimising your campaigns. 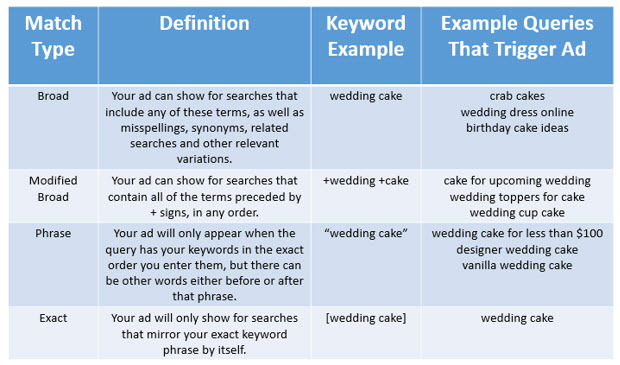 Expanded Text Ads were launched in July 2016. This is basically an opportunity for advertisers to display a longer message, on a larger screen portion. More space means more ways to focus on your unique selling proposal or add that decisive call-to-action. If you are not using ETAs in your campaigns yet, it just means you are not benefiting from that (free) chance to display your message on a larger real estate portion. And that’s okay, after all this opportunity is only 1 year old (hum)… But you should take this occasion to embark on using ETAs sooner than later. After all, you do not want less visibility for you, more for your competitors, do you? SEM platforms advertise the fact that it’s so easy to set a campaign up, anyone could do it. A few clicks, your credit card details and off you go. Well, this is partially true. A common mistake when adventuring in the wild waters of Paid Search is to treat campaigns as a “set and forget” part of your overall strategy. After all, that’s what they said: easy to set up so you can focus on what matters. Weeks go by and you accumulate impressions, some clicks, all day every day. Having your campaigns running non-stop is by no means essential to your success. After all, would you open your store 24/7? Fish where the fish are – open your Google Analytics account and look for hourly trends over a significant period of time. When did you record better numbers? When were you merely getting any interesting traffic? Analyse available data and shape your bids accordingly. Do you know what the most expensive keyword is, in all of AdWords? Life insurance? No. Same Day delivery florists? It isn’t. Home loans? Nope. New York lawyer? Getting close! What this tells us is basically that some advertisers are ready to engage in a bidding war for a keyword they are desperate to be visible for. It doesn’t mean that keyword is or can be profitable, it just means they “want that top position, no matter the cost”. This is simply not how bidding and keyword research should be performed. Ego keywords are expensive, and often not prone to converting (or at least, not to your preferred terms); but rather a drain. Stay away from those and focus on your Cost per Acquisition instead. Negative keywords are probably the most efficient settings elements in your whole account. They act as true boundaries – between your offer and non-targeted searchers. However, the same list of negative keywords should not be used globally throughout your account. Yes, you can implement a basic list which covers the essentials (think of terms like free, discount, cheap…) but this is not sufficient. Negative keywords are a way of shaping your traffic by sending specific queries to dedicated AdGroups. Start by implementing negative exact match keywords to block them from accessing AdGroups you do not want them to accrue impressions for. This will allow you to actually decide (rather than letting the SEM platform in control) which ads you want to display for that keyword. By not using Bing, advertisers simply state they do not want to diversify. They do not need new ways for prospects to come to them and see their offer. They are ignoring a significant share of internet users. Is there such a thing as “having enough business”? Bing Ads currently offers a great platform to market on. There is an audience. The numbers from Bing are usually similar to better than AdWords; mostly because there is less competition. It makes sense to at least spend 10% of your allocated SEM budget on Bing for a few months and then look at results. Start with a few of your existing profitable campaigns and simply copy them across for a start. Then look for opportunities, either with additional campaigns or using feedback from your new Bing account performance. Those are some of the most common PPC settings errors we see in SEM accounts when taking them over. Hopefully, this can give you some ideas on what to look for and optimise this year. Should you need to discuss your PPC needs for 2017 and beyond, please get in touch. Our team of seasoned SEM experts will gladly help.